Dinosaurs could hear as well as birds – making them even better hunters than previously believed, according to new research. They processed sound in the same way as alligators – their closest living relative. An owls’ sense of hearing is so sharp it can hear a mouse moving around under a covering of snow. So T-rex and other meat eaters could identify the location of prey with their ears – as well as their eyes. Smaller dinosaurs would also have benefited by being better able to escape predators. 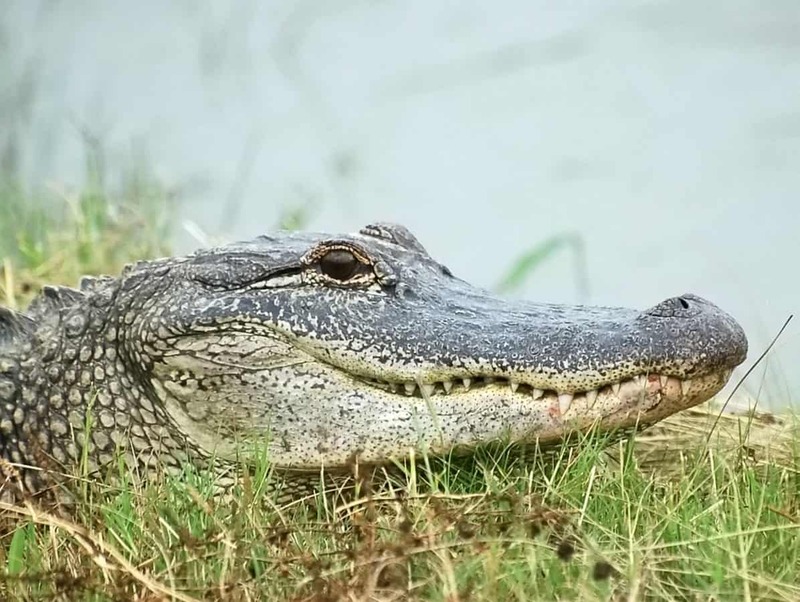 The study of American alligators found they build neural maps of sound in the same way birds do. This suggests the hearing strategy existed in their common ancestor – the dinosaurs, say scientists. Animal brains analyse the minute difference in time it takes a sound to reach each ear to work out where it comes from. The technique is known as ‘interaural time difference’. What happens to the cue once the signals get to the brain depends on what kind of creature is doing the hearing. Birds are exceptionally good at creating these neural maps to chart the location of sounds. The strategy differs in mammals. But little was known about how alligators process interaural time difference. The study, published in the Journal of Neuroscience, showed the reptiles form neural maps in the same way. Co lead author Professor Catherine Carr and colleagues believed it was important to look at evolutionary relationships. Birds have very small head sizes compared with alligators but the two groups share a common ancestor – the archosaur. It’s a reptile that includes the dinosaurs and pterosaurs and is represented today only by the crocodiles. Archosaurs began to emerge around 246 million years ago and split into two lineages – one leading to alligators and the other dinosaurs. Prof Carr, of Maryland University in the United States, said: “Our research strongly suggests this particular hearing strategy first evolved in their common ancestor. The same maps have not been recorded in the equivalent structure in mammal brains.